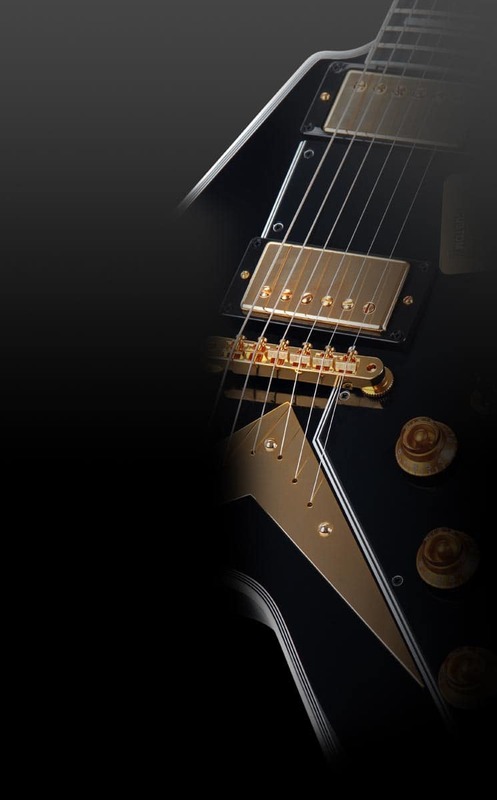 Shaman has already made a name in the past with exceptional guitars, which were praised by the trade press. Now the sound magicians made the next swing and have developed stomp boxes which have a beatutiful design - but even more important: A breathtaking sound! The "Classic Chorus" has a high quality metal housing that is optimally suited for the tough "road" use. 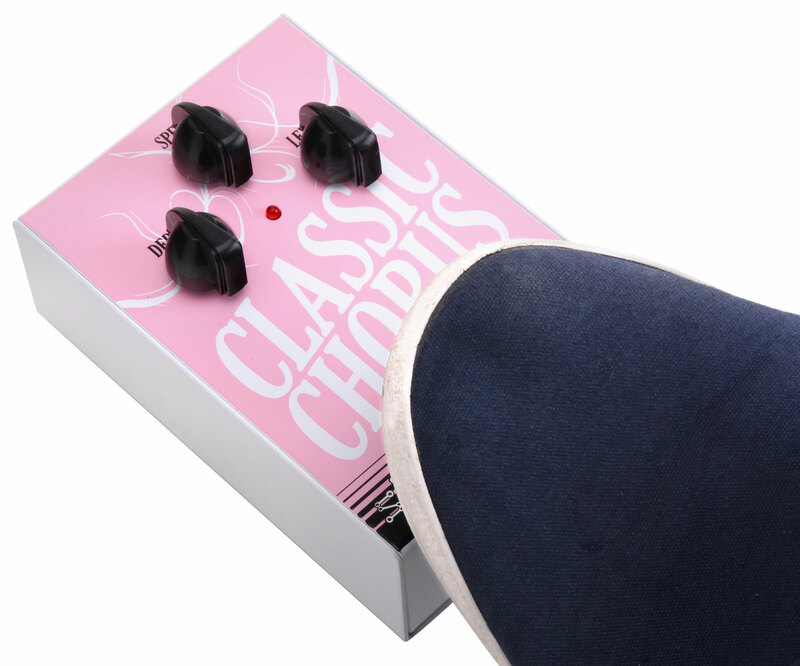 The footswitch for chorus / bypass is also manufactured from metal and it's durable - even in brutal action! 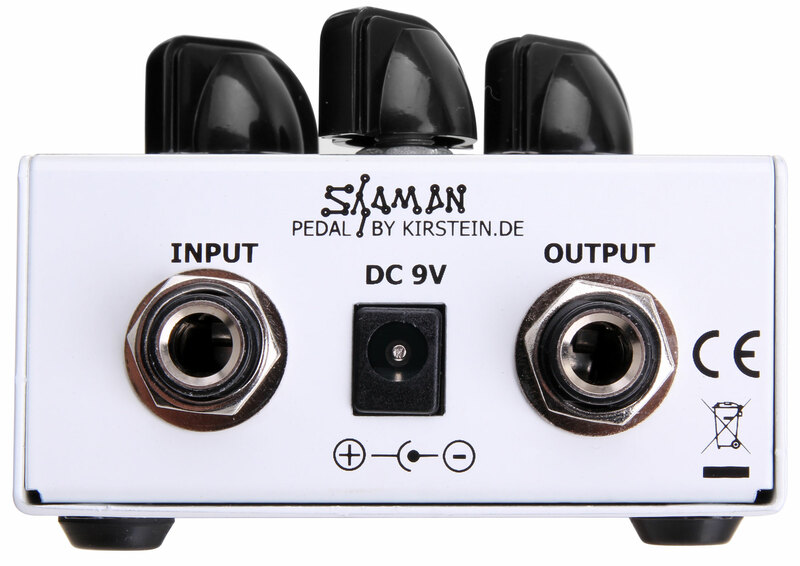 Shaman Custom pedals are adapted to the needs of modern and vintage alike oriented guitarists. The "Classic Chorus" has control for Depth, Speed? ?, Level, so that the sound can be ideally adapted to individual needs. High-quality circuits deliver a powerful sound - without compromise. Each case is printed in high quality, so that the pedal is also visually a real treat. A total of 5 different pedals in the series are available which can be combined into a sonically and visually colorful potpourri. 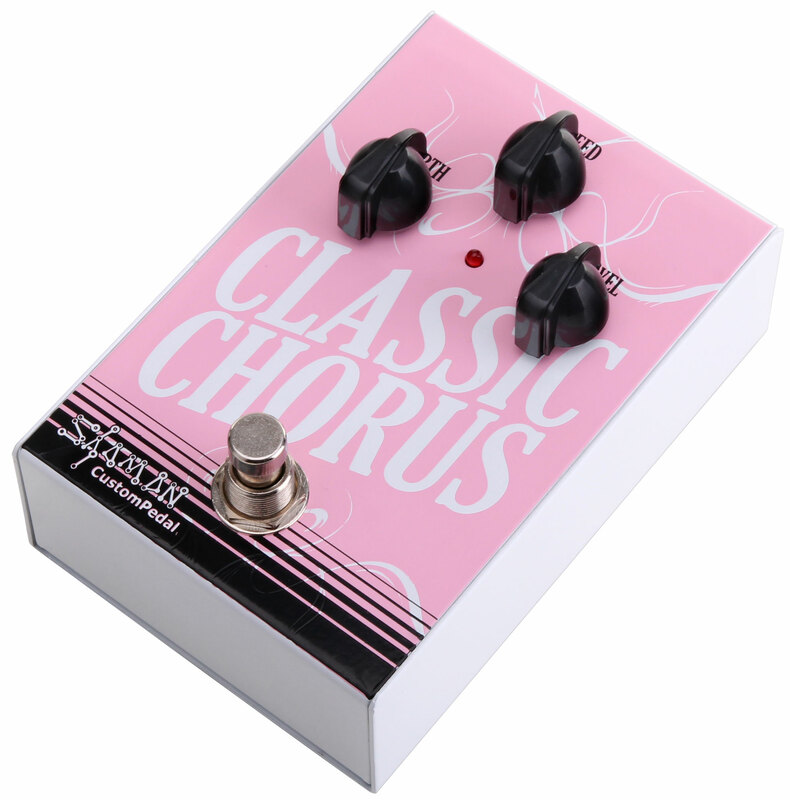 We recommend the "Classic Chorus" especially as an effect on ballads, plucked pieces and all other musical styles in which a modulated sound is needed, such as grunge, post rock, post punk, funk. 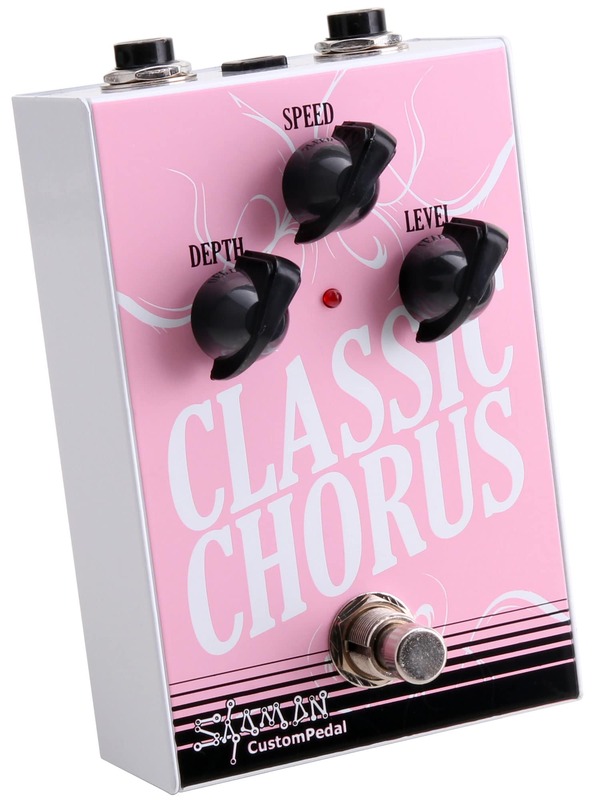 The "Classic Chorus" Ideal can also be used in conjunction with the "Classic Delay" to create beautiful soundscapes.